In a definitive volume on how to illustrate sermons, author and speaker R. Larry Moyer shows pastors and speakers how to clearly present the good news with effective and memorable stories and quotations. 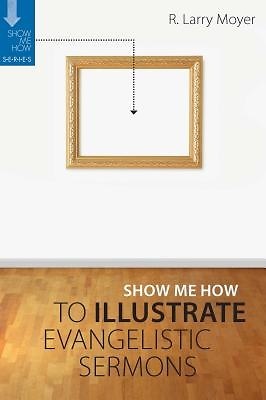 With hundreds of pages of examples, this is the how-to book for illustrating not only evangelistic messages but all sermos. Included are nine helpful chapters and an index of topics. Good illustrations powerfully connect ideas to experience. They make otherwise difficult and seemingly unrelated concepts accessible to a wide range of listeners. Too often and too easily, however, illustrations fall short of the mark. Speakers settle for what is quick, clever, or cute. Moyer knows that the right illustration is crucial in presenting the good news. And he can show pastors and speakers how to add impact to their evangelistic preaching with proven and time-tested principles. All pastors and speakers who want to challenge listeners with the gospel message can profit from this insightful resource.